The most exciting trip of the year is coming up: the annual Study Trip. 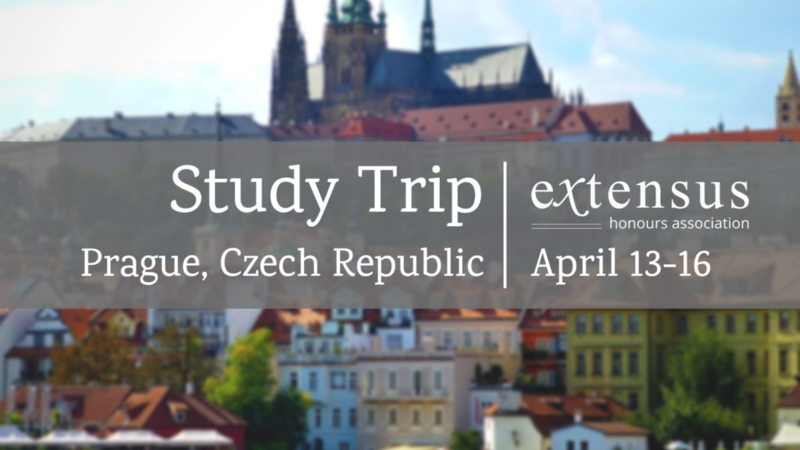 This year Extensus will take you all the way to Prague! This golden city will give us shiny adventures, delightful company and a fine sparkle of education. Together we will visit some of the main attractions, have a nice walk along the Moldau and visit one of the oldest universities in the world. Sign up for the trip now by filling out the form below! The sign up will be open until March 1st 23:59. The sign-up for the study trip has been extended until March 27th 23:59.